As if the night air has muscle, it flexes, then strengthens, when a bulky umber apparition condenses out of darkness. Doug moves away from Thembi as another elephant backs blindly toward us, lifting first the sole of one foot and then another for our inspection, carefully feeling her way. It is an oblong moment, stretched by suspense. 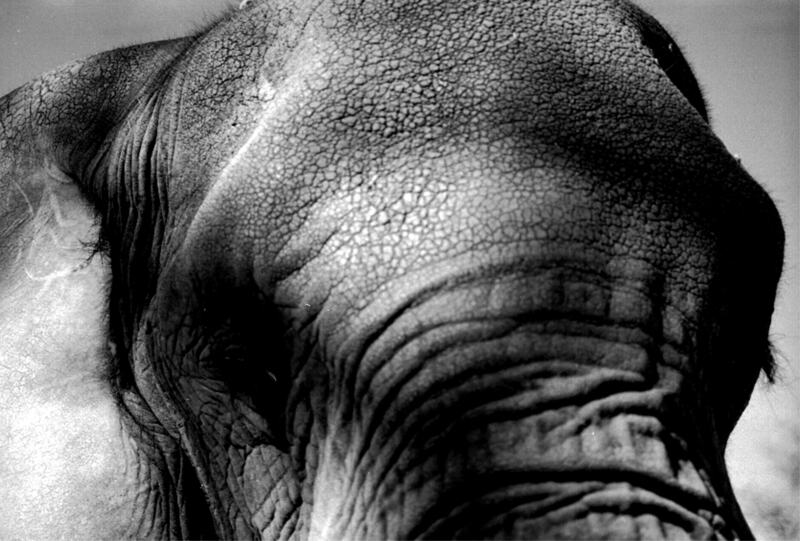 Enchanted by the thought Morula might consider me a fellow elephant, I have no qualms about putting the flat of my palm against her trunk. Her skin contracts like a giant slinky under my hand. I gently rub up and down, up and down. The nerves at the tips of my fingers tingle. The massive dome of her head blocks the stars. Her forehead is cobbled; my eyes follow its boulevard up to the night sky. She exhales. A gentle rumble flows past my fingers and stirs the dust at my feet. In the distance a hyena slouches through its whoop. Then it is quiet again and the stars lean in to listen to her breathing.